WHY CAN’T WE USE THE NEW KING JAMES? Is the old King James Bible ispired? If…it is not inspired, if …it is not preserved, if…it is not inerrant, then go ahead and use the New King James Bible! Once that door is open then by all means don’t stop there. First, at some point, faith must enter into this equation. Psalm 12:6-7 teaches a continuity of the Scriptures from generation to generation and nation to nation. If we are to follow Bible principles, then we should use the Bible that has not skipped any generation. The originals are in Heaven and have been given by the Holy Spirit to man on earth. When Enoch was translated to Heaven he was exactly the same Enoch that he was on earth. When the Words of God were given from Heaven via the Holy Ghost to man on earth even though they were translated into Hebrew, Aramaic, Greek, or English they are still the same words. To question this is to side with Satan in the questioning of the Words of God. Second, language usage decays. The English of 1611 was a more precise, more poetic, less corrupt language; it lacked the innuendos, the slang, and the casual usage of words prevalent in English today. I do not want a Bible that follows the decay of the language. I want a Bible that was translated when the English language was at its best. By the way typos have nothing to do with the loss of inspiration or inerrancy. Sometimes someone will mock fundamental preachers who stand and say they hold in their hand the 1611 KJV. The truth is I hold in my hand the 2015 KJV and next year it will be a 2016 KJV. This is preserved inspiration I hold in my hand! The truth is all that needed to be done to bring into conformity the spelling has been accomplished by the translators. Third, the publishers of the New King James were not honest, like most people who become higher critics of the King James Bible. They said they were going to turn the “thees” and “thous” into “you” and “yours.” They said those would be the only changes. Yet, they changed many more words than these, reorganized verses, changed phrasing, etc. 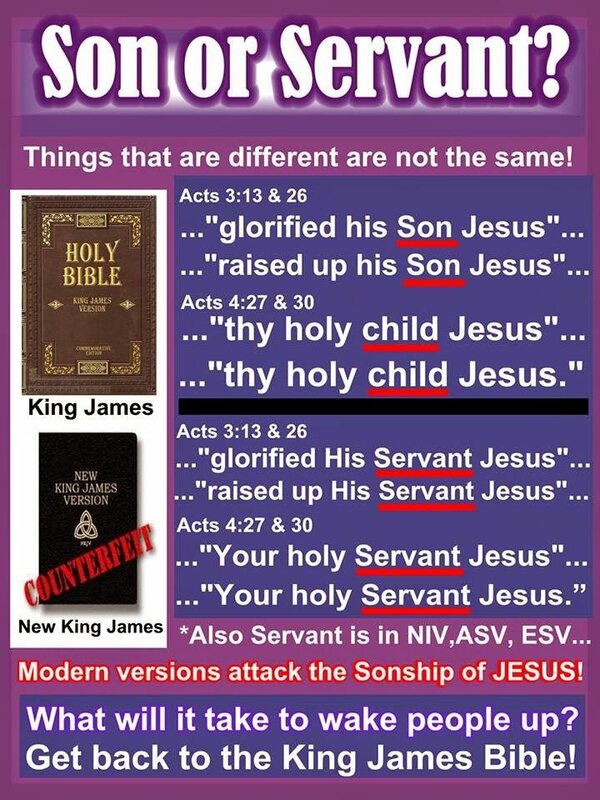 It is not an updating of the King James Bible; it is a bad translation in and of itself. Fourth, to attack solid Bible believers who hold to the preserved inspiration of the King James Bible as being some nut jobs, who are pushing double inspiration, is a smoke screen. They merely want to appear to be academically superior to the “common man.” This way you have to go to them in order to know what God is saying. This is the deeds of the Nicolaitans, which is the conquering of the laity by the clergy. This is Protestant and Catholic teaching. It is interesting to me that the historicity of the Scriptures for their academia always runs through Rome. Paul warned us about people who would “corrupt” the Scripture.